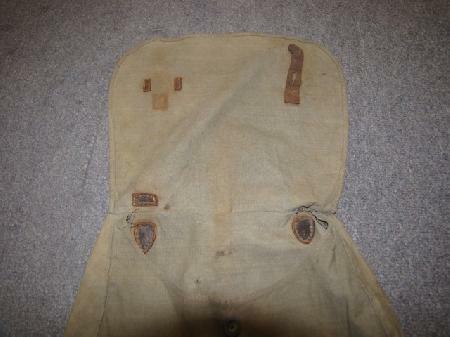 WWI German Army bread bag. 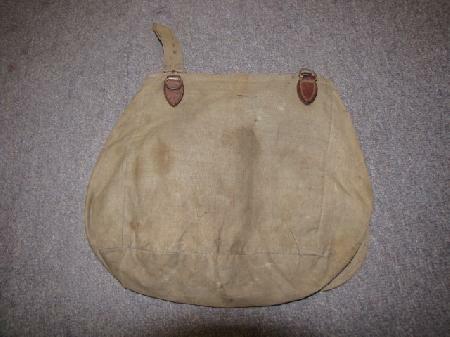 The bag is in fair to good condition. 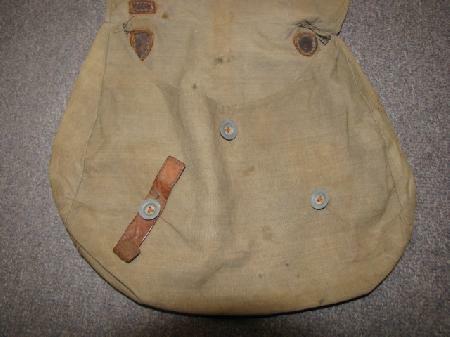 The bag is missing one of the belt loops and one of the straps holding the bag closed the stitching has come loose. 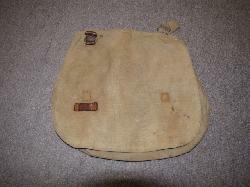 There are numerous light to moderate stains across the bag. Take a look at the pictures for condition, bag is priced accordingly.